Bruce Springsteen is releasing an entire 1978 show with the E Street Band in Houston, Texas. The release will benefit the MusiCares® Hurricane Relief Fund, which will aid those affected by the recent devastation in Texas as well as in Florida. 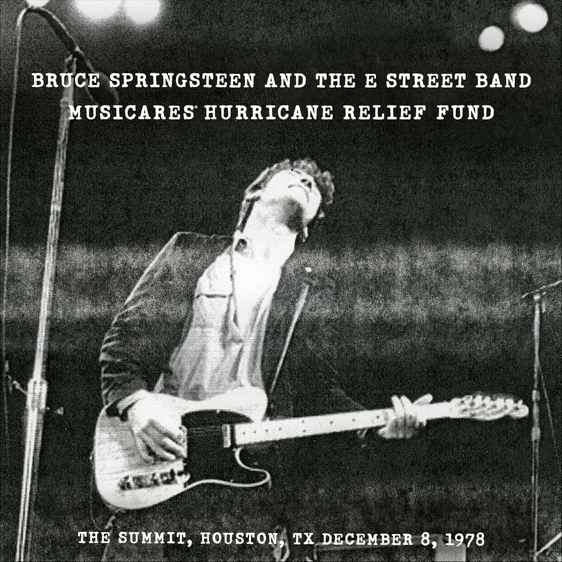 Bruce, the E Street band, Sony Music and nugs.net will donate all their proceeds to the hurricane relief effort. Houston ’78 is available now as MP3 and hi-res downloads including audiophile grade MQA, or as a 2 CD set. You can order it today at live.brucespringsteen.net, Bruce Springsteen’s official live recording service powered by nugs.net. For more information on MusiCares® , visit www.musicares.org, Like MusiCares on Facebook, and follow @MusiCares on Twitter and Instagram.